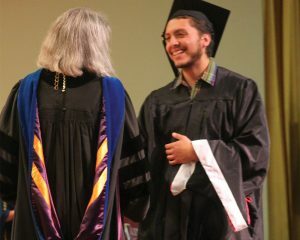 A college graduation always calls for a celebration of goals attained. When Mario Ayala Jr. of Dallas received his Austin College diploma in May, what once seemed impossible became sweet reality. 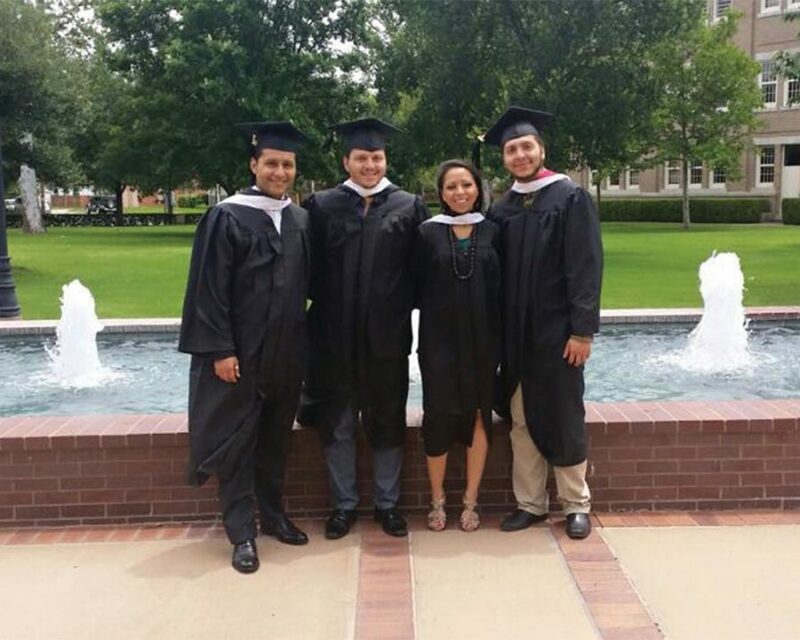 Mario’s brother, Santiago, graduated from Austin College in 2006; brother, Nicolas, in 2008; and sister, Estela, in 2009. Four siblings graduating from Austin College is an impressive family achievement. The feat is especially remarkable considering their parents did not attend school beyond sixth grade and that, not too many years ago, none of those siblings spoke English. Though their mother loved learning, she was not allowed to continue her schooling; she promised herself that if she had children, she would encourage them to study. And she did. In high school, Santiago told his college guidance counselor he wanted to become a doctor. In that case, she said, he needed to go to Austin College. He didn’t apply anywhere else. Nicolas followed his lead, applying only to Austin College; since it had been a good choice for his brother, that was enough for him. Nicolas liked the small community and competed in soccer. Estela followed Santiago and Nicolas to Austin College. After all, she knew no one else who had gone to college. Jay Evans ’64 was the Austin College admission connection for each of the siblings—and the family said his role was definitely part of their story. Though he had officially retired as associate vice president of Institutional Enrollment by the time Mario Jr. enrolled, Jay guided him through the admission process just as he assisted Mario’s siblings. 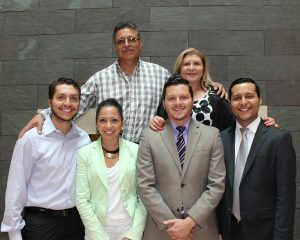 Sitting down with the four graduates and their father before Mario’s graduation was an opportunity to be treasured. The conversation included basic facts: who majored in what, various Austin College activities and involvements, career moves since graduation, and plans for the future. The time also included moments when words would not come, when tears flowed, when remembered struggles overwhelmed. The story they told had its beginning many years ago in Mexico. 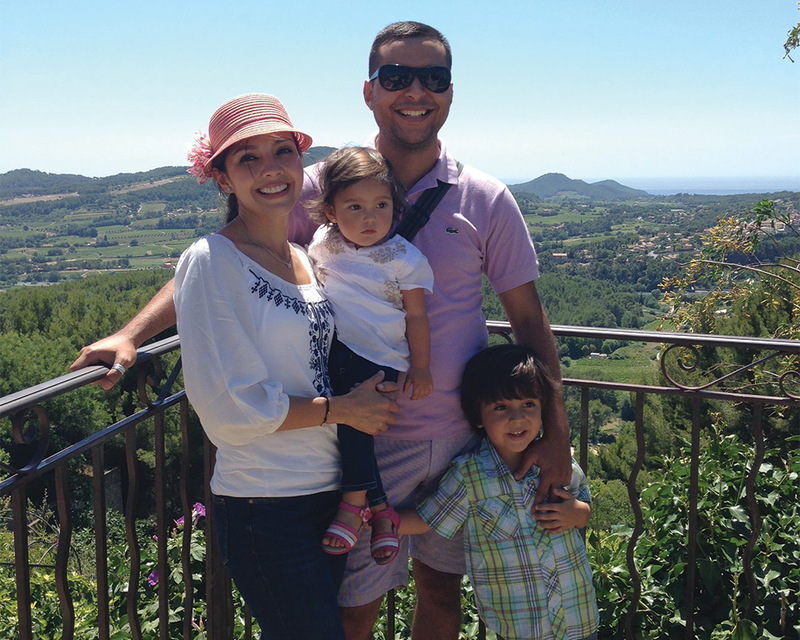 Their father, Mario Sr., quit school after sixth grade and seeing no opportunities, ran away to work in California. Immigration sent him back to Mexico twice. Later, he made it to Chicago, where he learned English while working as a busboy for five years. He returned to Mexico in 1981 and married Esthela, a “beauty queen,” in his words. They obtained green cards and moved to Houston, where Mario Sr. worked and Esthela cared for their growing family. They moved back to Mexico while the children were small, and Mario Jr. was born there. A few years later, when they wanted to return to the U.S., Mario Sr. had appropriate papers, and the three older children were U.S. citizens. Esthela and 4-year-old Mario Jr. could not legally enter the U.S. and were smuggled across the border. All the Ayala siblings worked on campus to help pay for their educations—which would not have been possible without scholarships—and some are still paying off loans. None, though, doubts the value of their education and experiences like study abroad. 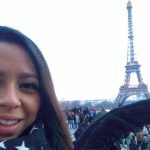 “I never would have imagined we could do that,” said Estela, who fell in love with Paris during a January Term and found a way to return there for an internship. Nicolas spent a study-abroad semester in Costa Rica; Santiago took part in the January Term Medical Experience in Mexico, working alongside a doctor in a rural clinic. 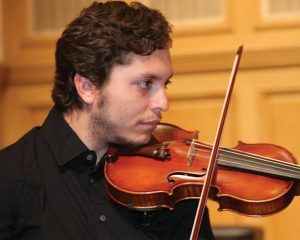 Mario, who would complete majors in art and business, came to the College aware of the travels of his siblings and knew he too “needed” to see the world. 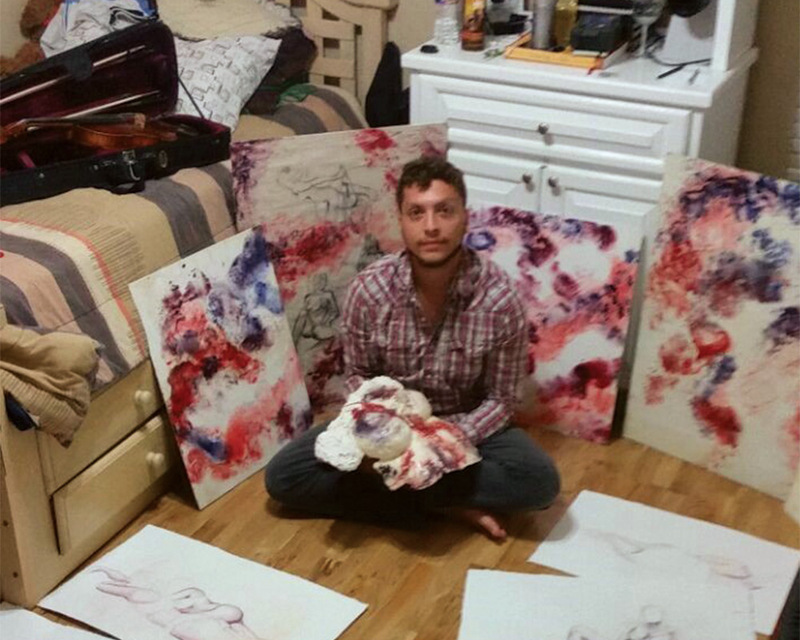 He spent his junior year in Florence, where he explored art in the cradle of the Renaissance and discovered his own purpose in art. He also spent a January Term in Mexico pursuing an interest in photography. The entire family proudly arrived on campus in May to applaud Mario’s accomplishments. Many recollections included gratitude and amazement. Santiago recalled skiing in the French Alps and stopping, stunned because the realization of where he was and what he was doing was so surreal. 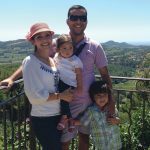 That feeling continued as he was accepted to UT Southwestern Medical School where he began to fulfill his dream of becoming a family doctor—incredible because he grew up without insurance and had never visited a doctor for preventative medical care. This year, he and his wife and children moved to New Mexico where he was named medical director of a family medicine practice in Rio Rancho. “I have much to give because I have been given so much,” Santiago said. 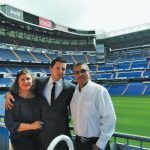 A fter graduation, Nicolas attended the European University of Madrid and earned an MBA in sports management. 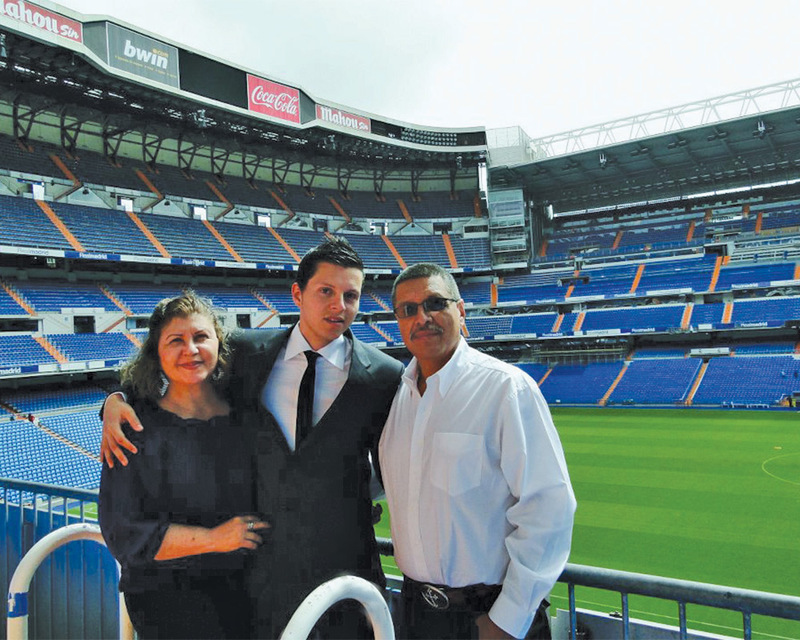 When he graduated, his parents traveled to Spain and he took them to one of the world’s most famous soccer arenas. “Never in my life could I imagine that moment,” he said, adding his gratitude at sharing it with his parents. Returning to Texas, Nicolas worked for FC Dallas for a few years before founding and serving as president of Dallas City FC. 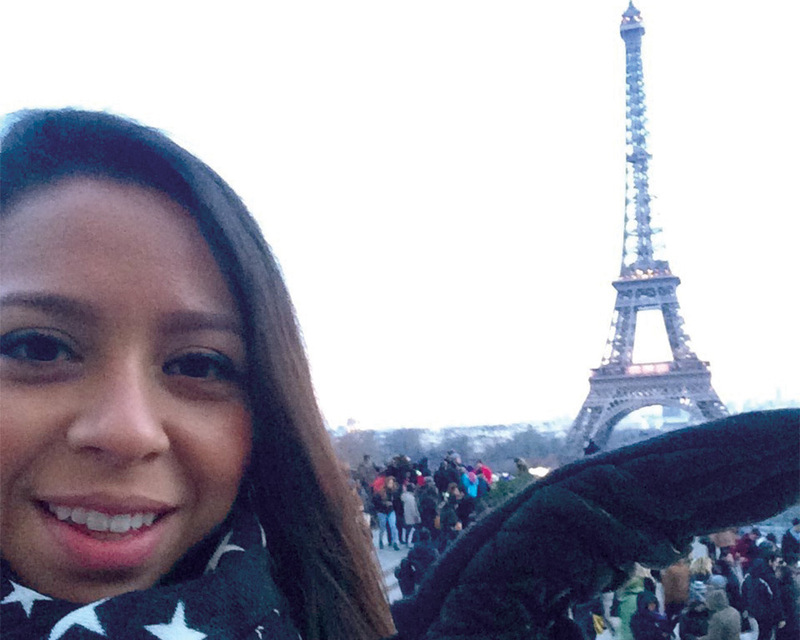 Upon graduation, Estela longed to return to Paris and was awarded an English Teaching Assistantship in France. Returning to the U.S. after three years, she earned a teaching certificate and taught at Skyline High School in Dallas. She just finished her second year teaching at Ursuline Academy in the World Languages Department.